identified as Ademola Moshood in Surulere, Lagos Mainland for refusal to bribe with N200. The occurrence was said to have happened few traffic lights from the unfortunate casualties' home at the pre-sunrise times of Thursday in Kilo zone of Surulere, Lagos. It was gathered that the policemen involved in the alleged murder were attached to Soloki Police Station, Surulere with two of their names given as AK, Patrick. According to a witness, the policemen were on patrol when they sighted and stopped the deceased by Kilo Bus Stop in a bid to extort him. 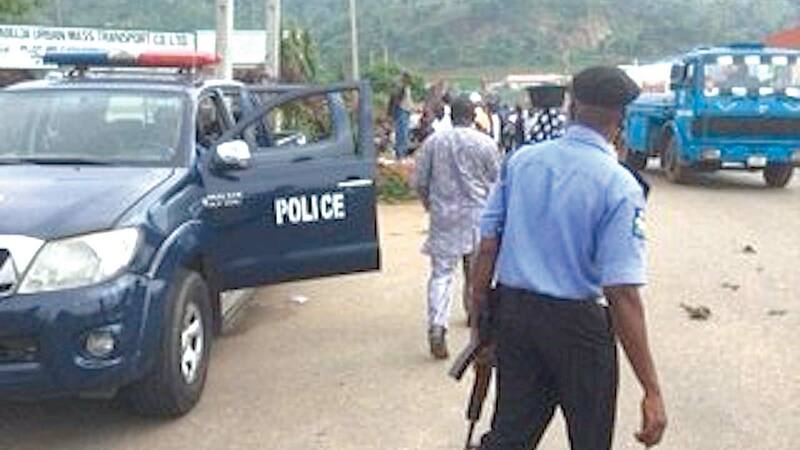 A resident alleged that when Ademola refused to part with the usual N200 bribe on ground that he had closed business for the day and was homebound, one of the cops, an Inspector, went close to him, placed his gun on the man’s head and shot him. They were said to have fled the scene with the man’s motorcycle, abandoning his body on the ground after shooting him dead, The Nation reports. It was gathered that residents who witnessed the incident stormed the police station in Aguda in protest and sighted the culprits who hid behind a van. They demanded justice, insisting that those involved be charged with murder. Police spokesman Bala Elkana, a Deputy Superintendent (DSP) said the Commissioner Zubairu Muazu had ordered that the culprits be detained and tried. “A petition was sent to the CP on the matter and he has ordered that those involved be detained and tried."